Click here to access our events calendar! We are pleased to welcome back literary scholar Mark Scarbrough as he leads a six week course The Grand Descent: A Walk Across Dante’s Inferno. What happens when a man decides to trek across the known universe? If he’s a Tuscan poet in the Middle Ages, he starts the great descent—which takes him into everything that’s known and in turn almost single-handedly creates the Western literary tradition. After 700 years, there’s still no other walk like this, no cadence like it. And certainly no theme or plot to rival this exploration of the nature of all that is. Join us as we walk with Dante (and Cimabue, Giotto, popes, generals, and other poets) across the infernal regions, the first third of the poet’s journey through the cosmos and into the foundations of all the imaginative literature we read today. Copies are available for purchase at the Hickory Stick Bookstore. English Professor Christopher Rempfer, MFA, will facilitate a book discussion on Witch Elm by Tana French, one of the New York Times Notable Book of 2018. From the writer who “inspires cultic devotion in readers” (The New Yorker) and has been called “incandescent” by Stephen King, “absolutely mesmerizing” by Gillian Flynn, and “unputdownable” (People), comes a gripping new novel that turns a crime story inside out. A spellbinding standalone from one of the best suspense writers working today, The Witch Elm asks what we become, and what we’re capable of, when we no longer know who we are. Actress & Writer Ginger Grace will perform a live theatrical production of The First Ladies Coalition. This special event, sponsored by the Judea Chapter of the DAR. Ginger Grace plays Colleen, a resilient ex-con, immigrant and survivor of domestic violence, invites the audience to join four famous First Ladies as they step into her sewing shop! Via subtle impersonations, she transports us into the life and times of Eleanor Roosevelt, Jackie Kennedy, Lady Bird Johnson and Mary Todd Lincoln. Mysteries and secrets are unveiled – hers & theirs – and with the help of these courageous women, Colleen turns a life of confinement into extraordinary possibility. In 90 minutes, through the eyes of Colleen, we encapsulate the history of our country and the invaluable impact of these four First Ladies as they spoke out and changed the course of events in situations where women’s voices are often suppressed. They were forerunners – paving the way for our current wave of women in politics, the #MeToo Movement and social justice. For full info on the show, and a short video visit: www.firstladiescoalition.com. First Ladies Photos Courtesy of The Smithsonian. Ginger Grace has performed The First Ladies Coalition throughout the country. She toured nationally opposite Rich Little in The Presidents playing all of his First Ladies from Jackie Kennedy to Hillary Clinton. She has played Emily Dickinson in The Belle of Amherst by William Luce throughout the country since 2002, and has created her own interactive performance piece: Inside Emily Dickinson: Her Poetry & Her Life. Ms. Grace has worked extensively in New York and Regional Theater and in independent films. Directed by Phil Grabsky. 1h 30 min. Visit exhibitiononscreen.com. This screening is co-sponsored with the Washington Art Association. Best selling author, Martha Hall Kelly, returns to Gunn Memorial Library to discuss her just released novel, Lost Roses. Martha’s debut novel, the runaway bestseller Lilac Girls, introduced the real-life heroine Caroline Ferriday. Lost Roses, set a generation earlier and also inspired by true events, features Caroline’s mother, Eliza, and follows three equally indomitable women from St. Petersburg, Russia to Paris, France under the shadow of World War I. From the turbulent streets of St. Petersburg to the avenues of Paris and the society of fallen Russian émigrés who live there, the lives of these women will intersect in profound ways, taking readers on a breathtaking ride through a momentous time in history. throughout the east. They provide watershed protection, important wildlife cover and habitat, and are popular trees in recreational and garden landscapes. Graceful, majestic and long-lived native hemlocks have been besieged and forests under threat by a tiny insect from Asia – the hemlock wooly adelgid. But its spread has been slowed by its vulnerability to extreme cold winter temperatures. Traditional predictions are that rising winter temperatures in the future due to climate change are likely to remove the conditions currently limiting the adelgid. Dr. Cheah will share evidence from her long-term studies of 25 years with the eastern hemlock ecosystem that have surprisingly different conclusions for hemlock woolly adelgid range expansion that offer hope for the perpetuation of eastern hemlocks in the Northeast. Dr. Carole Cheah is a durational research entomologist at the Valley Laboratory, the Connecticut Agricultural Experiment Station in Windsor, CT. Educated in England with a doctorate in biological control and Masters in Applied Entomology from the University of Cambridge and a B.A. (Hons) in Zoology from the University of Oxford, she has conducted research for the past 25 years into the implementation, assessment and improvement of biological control of hemlock woolly adelgid, a serious introduced pest of the urban and forest hemlocks. Her most recent research is on the long term effects of climate change on eastern hemlock and its non-native pests. She also conducts biological control releases of a weevil for invasive mile-a-minute weed control in collaboration with the University of Connecticut. Musicologist, music theorist and award winning professor, Gil Harel, PhD will join us for an engaging, musically enhanced visual presentation on jazz through the ages. Perhaps no period in the history of jazz witnessed as much rapid change and stylistic evolution as the era following World War II. As the large swing orchestras of the 1930s disappeared, they were replaced with smaller ensembles playing hard-driving, virtuosic, and eventually quasi-minimalist music that polarized some fans and sparked fierce debates on the future of jazz. Professor Harel will focus on three individuals: Charlie Parker, Miles Davis and John Coltrane, exploring their musical styles, contributions, and legacies as three of jazz’s most storied figures. Gil Harel (PhD, Brandeis University) is a musicologist and music theorist whose interests include styles ranging from classical repertoire to jazz and popular music, as well as opera, medieval, and renaissance music. Previously, he has served on the faculty at CUNY Baruch College, where he was awarded the prestigious “Presidential Excellence Award for Distinguished Teaching” as well as the Southwestern University of Finance and Economics in Chengdu, China. Currently, he teaches at Naugatuck Valley Community College, where he was recently presented with the coveted “Merit Award for Exemplary Service to the College.” At NVCC, Dr. Harel conducts the college chorale, teaches music history and theory, and serves as musical director of theater productions. His commitment to community-oriented lecturing spans many years. He has been hosted as a featured speaker at many learning-oriented events in Connecticut, New York, as well as Massachusetts. Outside of teaching, he enjoys staying active as a pianist and vocalist. In anticipation of this summer’s production of The Comedy of Errors by Shakespeare in the Park in Washington, CT, Friends of Shakespeare in the Litchfield Hills together with Shakesperience Productions, will hold a talk and visual presentation entitled Optical Delusions, led by Emily Mattina Director of Shakesperience Productions. The main stage productions of The Comedy of Errors by Shakespeare in the Park will take place at the River Walk Pavilion in Washington, CT nightly Wednesday, August 7 through Sunday, August 11 @ 7:30pm. Performances are free; audience is encouraged to bring blankets, beach/lawn chairs and picnic dinners for these theatre under the stars events. Chris Pavone, New York Times Best Selling Author and Edgar & Anthony Award winner, will discuss and sign his newest book, The Paris Diversion. 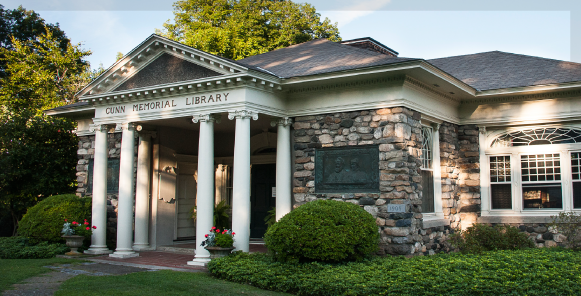 This event will take place Tuesday, June 4, 2019 @ 6:00pm at Gunn Memorial Library in Washington, CT. From the New York Times bestselling author of The Expats comes Paris Diversion, Pavone’s nail biting thriller featuring former CIA agent Kate Moore. Now semi-retired in Paris, Kate hasn’t received a new assignment in some time, so when news breaks of bomb threats in multiple locations, and a man in an explosive vest entering the Louvre, she decides to prove her continued relevance by investigating. The Paris Diversion is another smart, stylish non-stop adventure ride from a new master of international intrigue. “Smart, sophisticated and suspenseful” – Harlan Coben, #1 New York Times bestselling author. All programs are free and open to the public, but registration is requested. 5 Wykeham Road at Route 47 on the Green, in Washington, CT.